At other times, movies like the newly released Noah by Darren Aronofsky have stirred up a firestorm of controversy and outrage as some Christians believe it is unfaithful to the story found in Genesis. The trend in Hollywood these days is to turn novels and books into summer blockbusters. We should not be surprised then, if more stories from the Bible make there way to the silver screen in the years ahead. (You know that Christian Bale will be playing the character Moses in the near future, right?) If there is tension now, it’s only going to get worse. But why does this tension exist? The Western church has undeniably come a long way from the patronage of the arts to serving as art critics. Certainly some Christians are are torn over less-than-ideal portrayals of biblical narrative in the quest for artistic license. I can think of three reasons: (1) Fear at what non-Christians may turn Scripture into, which taps into the culture wars, (2) suspicion of the artistic community, and (3) the theological argument. I want to deal with an aspect of the theological argument in hopes of moving forward to a more friendly missional posture in our Post-Christendom era. The sins forbidden in the second commandment are, all devising, counseling, commanding, using, and anywise approving, any religious worship not instituted by God himself; tolerating a false religion; the making any representation of God, of all or of any of the three persons, either inwardly in our mind, or outwardly in any kind of image or likeness of any creature…” (WC, 109). What am I to do with this? As a pastor in the Presbyterian Church of America, I must subscribe to this confessional standard. Subscription to a confessional document like the Westminster Confession or the London Baptist Confession means you express solidarity with those doctrinal summaries. I believe this solidarity shows a fundamental affirmation of the history of the church at work in the world. After all, Jesus promises to give the Spirit to his church and guide us for all history. When the church produces biblical confessions, I believe that is tangible fulfillment of that promise. So when I say I subscribe to the Westminster Confession, I am saying I identify with it; it’s teachings are my own. Again, I ask, what then shall I do with the traditional understanding of the 2nd Commandment? 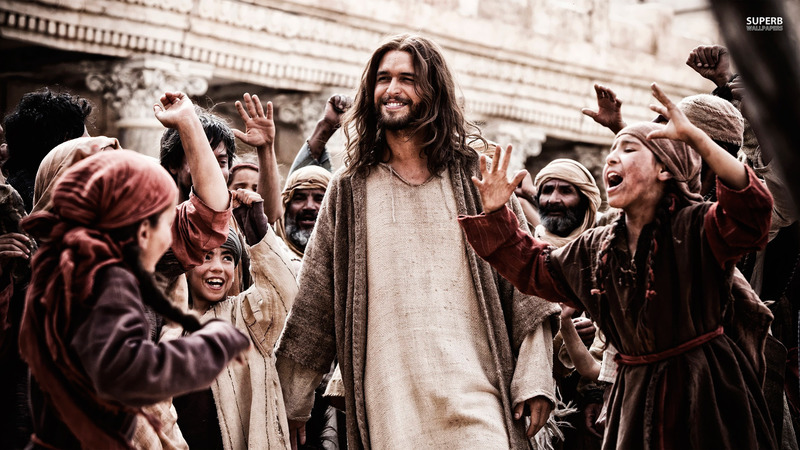 Must I eschew every movie in which Christ is visibly depicted? Must I discourage my congregants from creating or purchasing paintings of Christ? In Presbyterian life, when someone disagrees with a confessional document, we call it an exception. I take exception to the Westminster Confession on this point. In layman’s terms, I disagree with Westminster’s strict application of the 2nd Commandment. However, I do embrace the Westminster’s spirit, for what my spiritual grandfathers were seeking to prevent was idolatry. Where is their god? Our God is in the heavens and does as he pleases. If I would make an image of Jesus and bring it into worship, even if I do not encourage congregants to worship it, I am creating the potential for that image to become an idol. But not all Christian traditions share this understanding. The Eastern Orthodox have a high view of images, or as they call them, icons. They believe icons belong in worship as they are portals to heaven. So you can pray to saints typified in icons, who then turn and plead your case before God. The Orthodox would not say they do not worship but rather venerate these icons. Catholics do something similar when they pray to Jesus’ mother, Mary. Protestants, on the other hand, have historically called prayers to the saints via the rosary or icons unbiblical, for there is only one mediator between God and man: Jesus. When God commanded his people not to create images, he was laying down a design for proper worship. When I read scripture, I imagine it. I read about the trial of Jesus, and it is as if I was there. Through his superb storytelling, Mark’s narratives about the disciples’ intereactions with Jesus subtly pull me in too. So also at the Lord’s supper, which spans several chapters in the gospel of John, I am there. Scripture invites imagination through detailed language. God is revealed to us in words and concepts that we can understand. Theologians call this anthropomorphic or anthropopathic language. That is when God is described in human terms or emotions. These details and this language are an invitation for us to imagine the biblical story. Therefore, whatever creations Christians make must be faithful to the biblical story. The Spirit is revealed as tongues of fire or a dove. Jesus is seen as man, a slain lamb, and a fierce horseman with a double-edged sword tongue. The Father is seen as spirit. (Good luck capturing that with a brush or actor!) Christian imagination must flow out of the stream of biblical revelation. As our human imagination is led by the Holy Spirit, it transforms into Christian imagination. Art has power. It can influence our memory. Now that I’ve seen the Lord of the Rings, I can never read Tolkien’s epic without picturing Viggo Mortensen as Aragorn. But the same is true for Lewis’ Narnian Chronicles. I cannot read them without hearing Liam’s voice when I read Aslan’s words. We must be discerning about what we allow to influence how we read the Bible. The Western church has a rich history full of cooperation and patronage of the arts. I believe that the American church has the power to step out of the tension and into an era of cultural contribution. The American church has the privilege and means to contribute en mass to the world–through architecture, dancing, literature, sculpting, music, video, and in painting. Scripture gives rules to guide these endeavors. But the fact is this: God created human beings in his image. As his creatures, we are designed to mimic his creative power and artistry. Due to this reality we create, and when we do we glorify God. The question is what will we create? Will we create art that is faithful to God’s self-disclosure and Kingdom? Or will we create art that obscures the glory of God?